From nose to tail, the 2017 Honda Accord Coupe is a stylish sedan, sculpted to impress. Take on the Hawaii streets with LED headlights, daytime running lights, and taillights with integrated LED light bars in this two-door car that sits on available 19-inch alloy wheels. A one-touch power moonroof lets you take in the sunshine, while dual-zone automatic climate control allows individual temperature selection for optimal passenger comfort. There’s room for five passengers, and a 10-way power-adjustable driver’s seat and heated front seats give you custom comfort. Leather-trimmed seating is standard on the EX-L trim and above, along with a leather-wrapped steering wheel and gear shift knob. Every trim provides you with steering wheel-mounted controls for Bluetooth hands-free calling. The standard 4-cylinder engine makes 185 hp, and an available V6 engine generates an impressive 278 hp. Both engines offer a 6-speed manual or automatic transmission. Smart Entry and push-button start make it easier to get in and go without searching for your keys. A comprehensive package of driver-assistance features is offered on every model with Honda Sensing. These innovative technologies include a lane keeping assist system, adaptive cruise control, a collision mitigation braking system, and a road departure mitigation system. Honda LaneWatch gives you a camera in the passenger sideview mirror to better see your blind spot for easier and safer lane changing. Various trims offer Apple CarPlay and Android Auto as well as Honda Satellite-Linked Navigation to stay connected and more easily find your destinations. 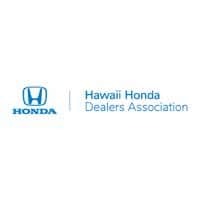 Find out why the 2017 Honda Accord Coupe is a choice car for the Aloha State by visiting the Hawaii Honda Dealers location near you for a test drive today.